Siberian ginseng is an ancient Chinese tonic that has been recommended to enhance the body’s natural energy, or qi, prevent colds and flu and to restore memory, for over a 1000 years. Rediscovered by Russian research scientist Israel Brekhman after World War 2, Siberian ginseng is effective in helping to fight the effects of stress. Subsequent studies have confirmed that the herb appears to help the entire body by sharpening mental and physical performance and restoring vitality during periods of illness or overwork. 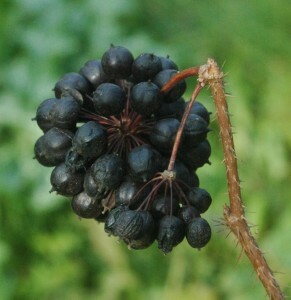 The root is dried for use in natural remedies. Siberian ginseng is often called an adaptogen, a non-medical word used to describe substances that can supposedly strengthen the body and increase general resistance to daily stress. It contains glycosides, chemical molecules necessary for healthy functioning of the body. The principal glycosides in Siberian ginseng are the eleutherosides E and B. The eleutherosides in Siberian ginseng appear to reduce the number, severity and duration of herpes simplex type-2 infections. The herb is recommended to boost the immune system, prevent colds, and improve appetite. It may help in conditions of the heart and blood vessels such as high or low blood pressure, atherosclerosis (hardening of the arteries) and rheumatic heart disease. Used in the treatment of kidney disease. May help in cases of depression, Alzheimer’s disease and attention-deficit-hyperactivity disorder (ADHD). Some people use Siberian ginseng to improve work and athletic performance. Helps recovery from long-term over-exertion from sport and physical stress, and to treat chronic fatigue. Used to treat insomnia and restore natural sleep patterns. Supports recovery from drug addiction. Assists in recovery from flu and colds, and bronchitis. May help in cases of diabetes. Used to treat fibromyalgia and rheumatoid arthritis. Acts as a hormonal regulator – useful in weight management. It is also reputed to enhance sexual activity. Supports recovery after chemotherapy and radiotherapy and during convalescence. Siberian ginseng apears to have few side effects if taken in the correct dosage (300–400 mg per day). Higher doses (more than 900 mg of standardised extract per day) may cause restlessness, insomnia, anxiety and irritability. Many authorities recommend against using the herb constantly, but instead taking it for about three months, then stopping for a week or two. Always consult your medical practitioner before using natural remedies, especially if you are taking drugs to reduce high blood pressure or diabetes, or are undergoing chemotherapy. Not to be taken when pregnant or breastfeeding. Do not combine with other stimulants. Siberian ginseng is not to be confused with Panax ginseng. Other than tea, there are no known domestic uses for Siberian ginseng in the Western kitchen. However, the young leaves and buds are cooked in the plant’s countries of origin. Siberian ginseng is a northern hemisphere species that is cultivated as a medicinal plant mainly in Russia and China, where it prefers warm, loamy humus-rich soil and a position sheltered from winds. There, the plant also tolerates urban pollution and poor soils and is hardy to at least -15° Celsius.